CNC Cabinetry - America's Best Value In Cabinetry. 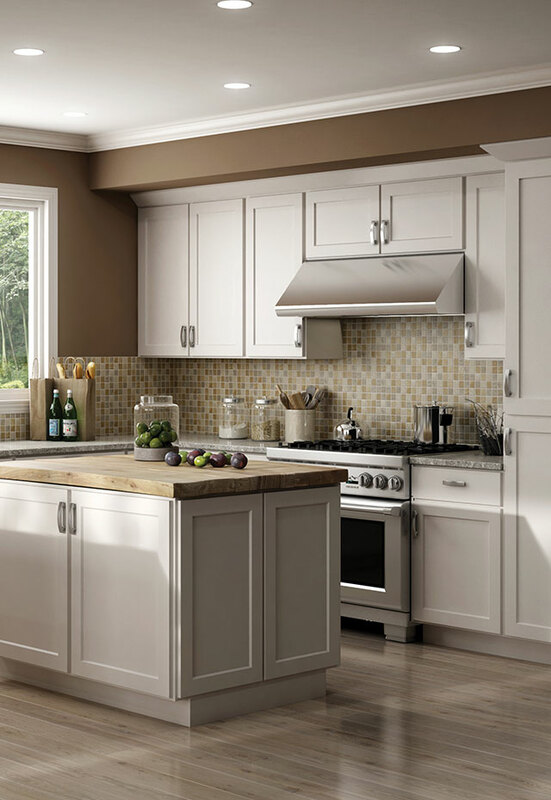 An inviting kitchen is what makes a house a home. 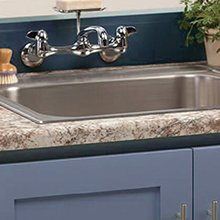 CNC was founded by the idea that a beautiful kitchen should be accessible to everyone. 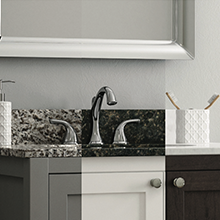 We accomplish that by providing you with a vast, ever-expanding selection of affordable, high-quality kitchen cabinets, countertops, and vanities, that offer the ultimate value in design, quality and price. The Concord series is our all-plywood line, which comes with full half-inch back panels, complete with solid wood dovetail drawers, enhanced by a soft-close feature and full extension under-mount glides to create a smooth glide. 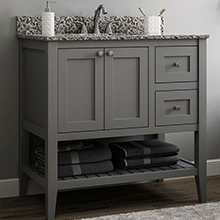 The cabinetry is equipped with ¾” fully adjustable shelves, which provide supreme durability, and six-way adjustable soft close hinges for flexibility. Light-colored wood interiors allow for practicality and ease of maintenance. The Classic series is composed of ¾” vinyl laminated plywood with a frameless box construction. The metal drawers are outfitted with full extension, under-mount drawer glides, as well as the soft-close feature. The six-way adjustable soft close hinges, ¾” adjustable full-depth plywood shelves, and dowel and glue-clamped assembly construction create a solid, durable framework for your cabinetry. The Country series is constructed from all plywood cabinets and drawers. The wall and base cabinets are equipped with ¾” plywood adjustable shelves and four-way adjustable hinges, reinforced for extra durability by a metal clip fastener assembly system. The essence of CNC lies in our people. From employee to dealer to customer, our people are what makes us unique. Passion lies at the heart of CNC. It’s what spurs us to pursue new opportunities, push boundaries, and continuously improve. 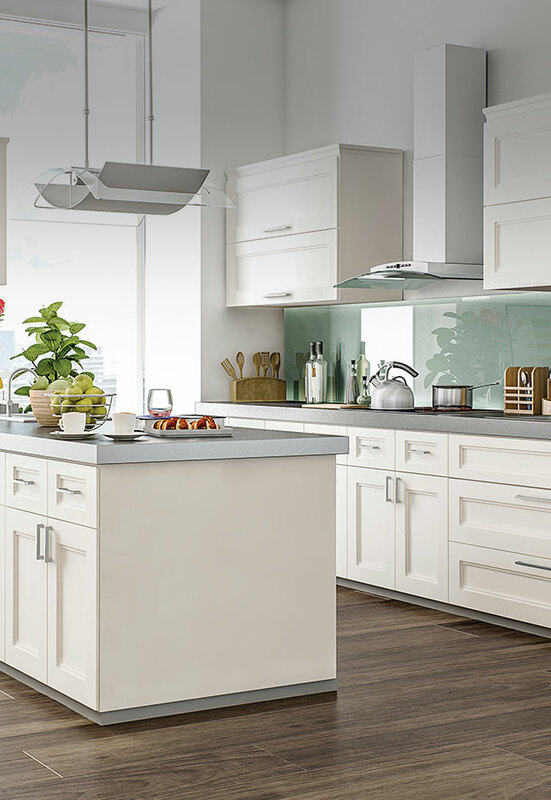 Throughout all aspects of our business, we view our stakeholders as partners in our ultimate mission to make beautiful kitchens accessible for all. Relationships drive business forward, and our integrity forms the bedrock of our relationships. Our coworkers, dealers, and customers trust us to adhere to what we promise, and we pledge to always deliver. Value means many things to different people. We pledge to always provide optimal value for each and every client. Become a CNC Value Partner. 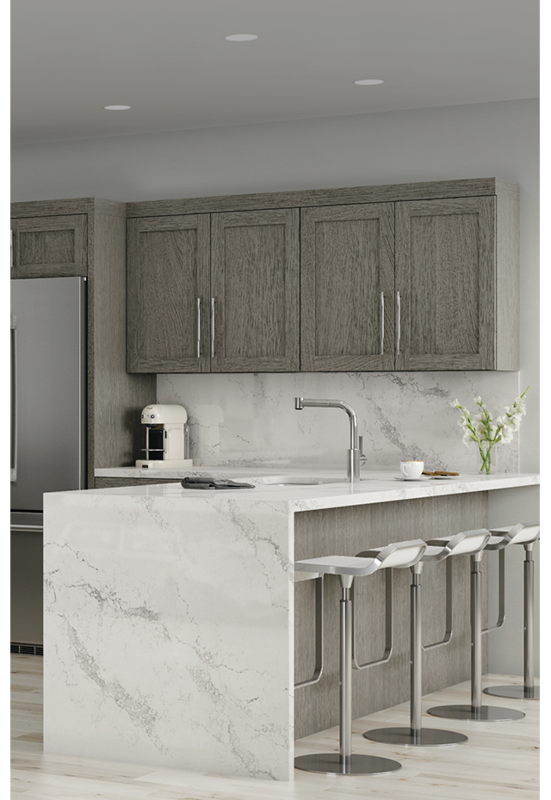 South Plainfield, NJ – CNC Cabinetry, a manufacturer and distributor of kitchen cabinets, countertops, vanities and vanity tops, has announced plans to open a new manufacturing plant in Davenport, FL, just outside of Orlando. The plant is scheduled to open in August 2018. 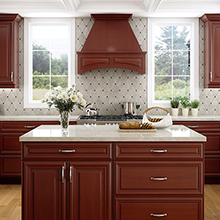 America's best value in cabinetry.